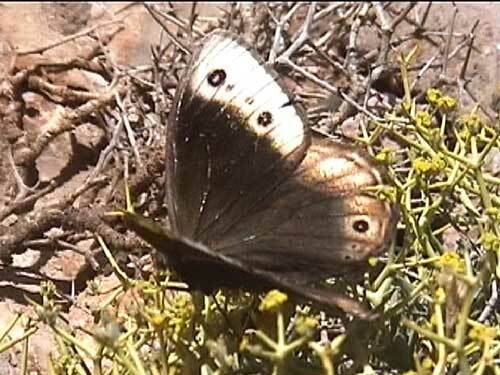 A spectacular species of north Africa. 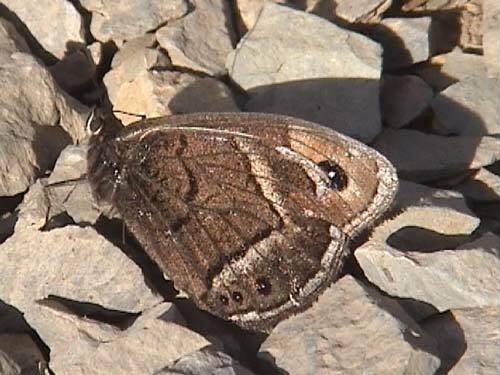 Identification & Similar species: Very similar to the dark giant grayling, B. lambessanus. That species is very dark, and lacks the white post discal patches found in the current species. 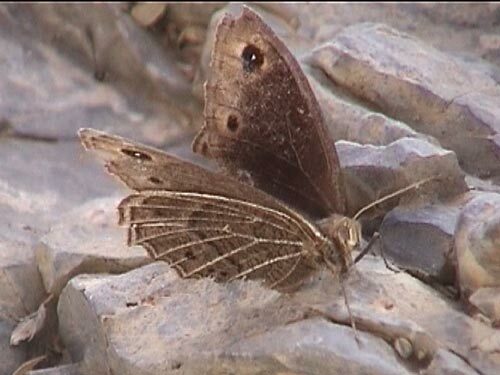 The row of usually four blue spots on the upperside forewing is prominent on the very dark groundcolour in B. lambessanus, and while often present in the current species, they are in areas of paler ground colour and much less prominent. Distribution & Flight: High mountains of Morocco, Algeria and Tunisia. Flight time varies with the season and the subspecies, but is generally June or July to September or October. 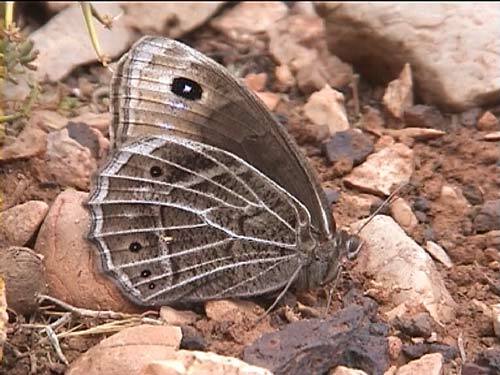 Habitat & Behaviour: It flies in very dry rocky places with grasses in hills and mountains. 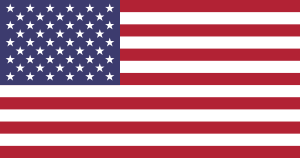 It ranges widely drifting with the wind or sailing into the wind with its huge wings held in a V-shape. We first found them on a shallow pass, when over 50 or so were seen during the morning, almost all of them sailing up the pass with the wind, funneling to our position before dispersing down the other side. In the leeward side of the pass, a few would settle on the low spiky cushion plants to feed. These plants were almost the only nectar source and by far the most abundant - it's tiny yellow flowers providing vital fuel for these large butterflies. Variation: I'm not entirely certain I would be able to distinguish the subspecies without knowing where they were flying. 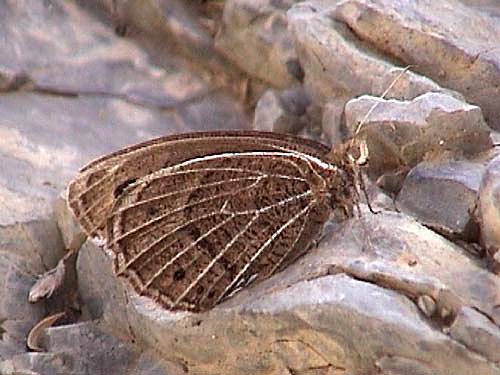 The subspecies taghzefti is found in the Middle Atlas, abdelkader is found in the High Atlas. 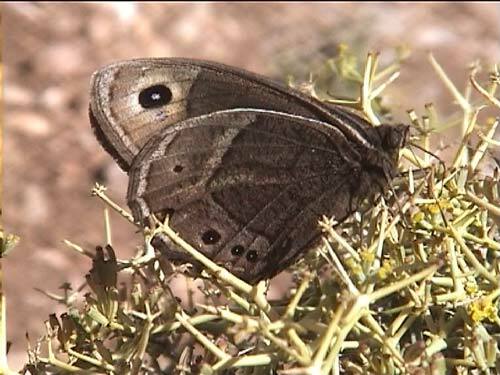 I think taghzefti has, generally, a boarder and fuller pale band on the upperside forewings and, looking at these photographs, the females are more heavily marked on the underside. However, the species is highly variable in most respects and there may well be some overlap in some places.